In today’s world, bilingualism is becoming extremely vital to the world economy. People are encouraged, no matter their age group, to pick up a second language and thus improve their career prospects. Many schools offer second language courses because of this, Spanish being the most common. As an aspiring Spanish teacher, it will become your responsibility to help your students gain a stronger level of fluency in the language on multiple levels. Before you can step foot in the classroom, however, you must prove you have the required capabilities. In the state of New York, this will involve earning a passing score on the NYSTCE Spanish exam. The NYSTCE Spanish exam is designed to assess not just your fluency in Spanish, but your ability to teach it in a digestible, thorough way. Like all other NYSTCE exams, the NYSTCE Spanish exam is timed. You will be allotted approximately three hours and 25 minutes, for which you will have to complete a total of 53 questions. Three of these questions are “constructed-response,” or require essay answers. The remaining 50 are “selected-response,” or multiple choice. At Mometrix Test Preparation, we understand just how important this exam is to your future career goals. 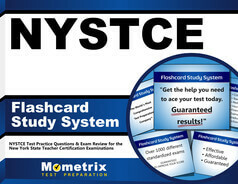 To help you study to your fullest potential, we have composed an NYSTCE Spanish (129) practice test. This study tool is meant to serve as an accurate mirror of the real NYSTCE Spanish exam’s contents, all so you can familiarize yourself and know what to expect well before test day arrives. You can also use this practice test to gain a sense of which subject areas require more of your focus throughout your studies. Feel free to use our NYSTCE Spanish practice test either standalone or alongside our corresponding study guide, also featured on this page. Good luck!